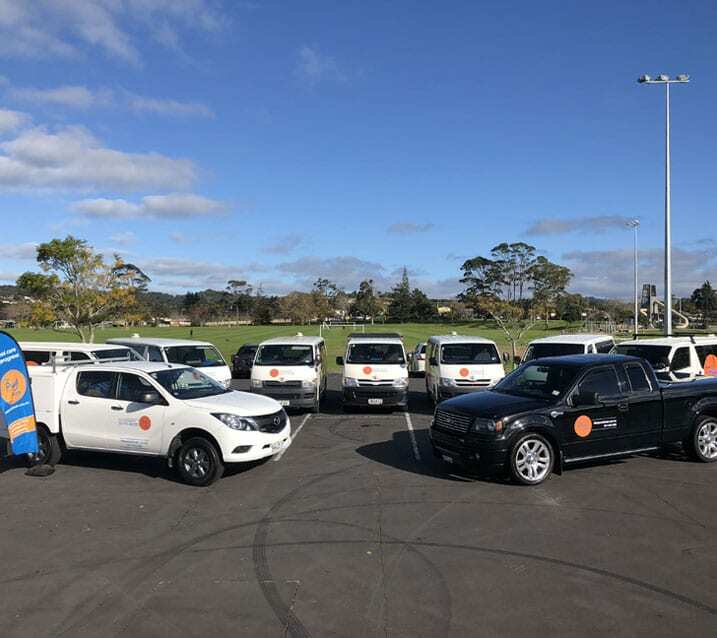 The highly skilled and experienced team at The Pool Man have been servicing and maintaining swimming pools throughout Auckland for many years – and we’ve gained an excellent reputation for our ability to excel in all aspects of pool maintenance, servicing, repair and renovation. The Pool Man is owned by Christie Flint. He’s directly involved in the business, working alongside the team. With daily team catch-ups over the morning coffee, Christie ensures The Pool Man’s standards are maintained. Christie’s interest in the pool industry began while he was still at school. He worked in his parents spa and pool shop during the holidays. After working in the mechanical trade for six years, he returned to his roots and looking after pools, providing onsite service and sales in an industry he knows so well. That was almost 20 years ago. Now, with his wife Karmela and The Pool Man team, he takes pride in overseeing a professional pool servicing company which operate across Auckland. The team set high standards for themselves and nothing is overlooked. From a swimming pool valet service to the complete renovation and modernising of your pool and pool surrounds, The Pool Man Ltd do it all. All work completed by The Pool Man comes with a full guarantee and The Pool Man carries comprehensive Contract Works and Public Liability insurance for your complete peace of mind. If you already know what the problem is, we can usually estimate it for free over the phone. However, because some problems can take time to diagnose, we do charge a Diagnostic Call Out Fee of $90+GST (for up to half an hour). If you accept our quote, this diagnosis fee will not be charged. Article by: YOUR HOME AND GARDEN Photography by: Helen Bankers. 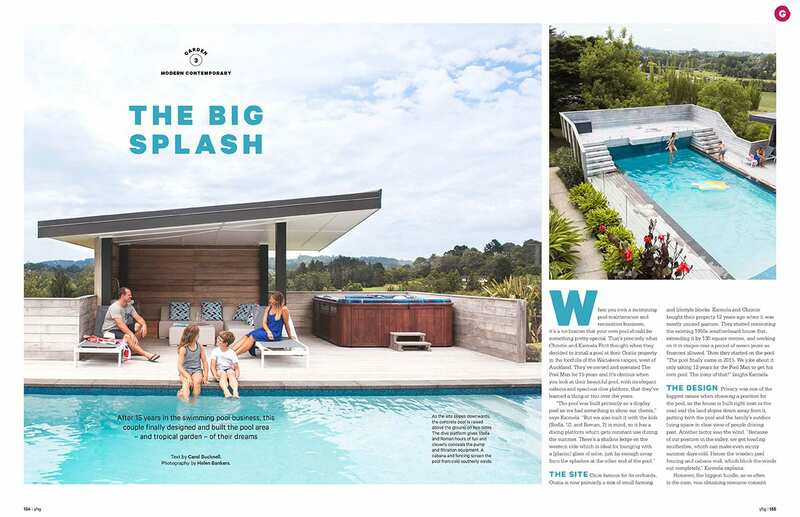 We wer so excited to have our pool featured in Your Home & Garden magazine. We love this pool and hope it can provide some inspiration. Thank you to Your Home & Garden and Helen Bankers for the awesome photography!